The Integrated Quality Management System is based on quality standards such as BRC CP, IFS HPC and the requirements of PN-EN ISO 22716:2009 standard. The implementation of the above-mentioned standards is a proof of the company’s commitment to ensuring safety, quality and legality of our products. In the process of product design, it is crucial to carry out verification of product components and ultimately the finished product, for compliance with legal requirements, in order to ensure that the appropriate legislative requirements and safety requirements have been met. This is a guarantee for our Customers that the products they buy are safe. In compliance with the legal requirements, each product is subjected to a number of tests before being put on the market, which guarantees its safety. These include dermatological tests, application tests, stability and compatibility tests as well as challenge tests, which guarantee that the amount of preservatives used in the product is at a level that ensures the safety of both the product and our Customers. We ensure the safety and continuous reproducible quality of the products that we deliver by implementing appropriate working procedures, test plans and inspections with full traceability. Supervision of product quality, managing identified risks by taking systematic actions and optimising processes are based on the following test and control panels: inspection and testing of products and their ingredients, process inspection, testing production environment and staff. By carrying out the above tests, we ensure customers’ safety, and by doing so we also gain their trust. By quality, we understand a broad range of important issues, that translates into quality. Each of them is an integral part of our success. Providing objective evidence that the company’s management system is compliant with international standards and subject to continuous improvement. Minimising risk and reducing costs associated with complaints, returns and product recall by taking continuous and systematic preventive and improvement actions. 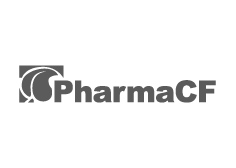 Pharma CF focuses on innovation, following the current market trends and meeting the needs of the consumer.